– We are constantly growing and evolving with a relentless demand for invention and excellence. – Only with the contribution of every DURA team member can we continue to succeed. – We are always seeking continual improvement through employee success and new opportunities. – Find news and important updates about DURA and the automotive industry. – A collection of some of DURA’s most acclaimed awards and certifications. – A repository of company assets including branding, literature, and photography. South America is the home of another DURA award-winning facility located in São Paulo, Brazil. This site has extensive experience manufacturing a full range of DURA’s product portfolio. The 281,000 sq. ft. facility is certified as ISO 14001, TS 16949, Ford Q1, QSB (General Motors), and VDA6.3 (Volkswagen). 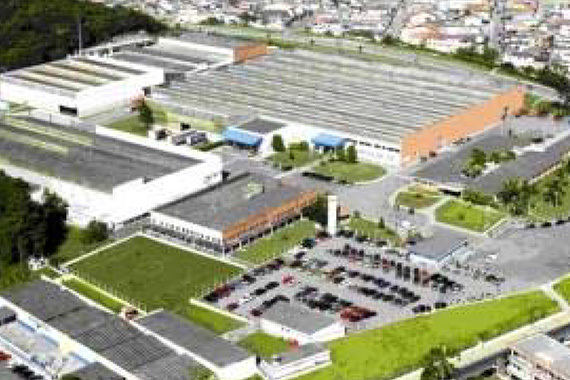 DURA’s Brazil facility also features local sales and product development and validation capabilities.